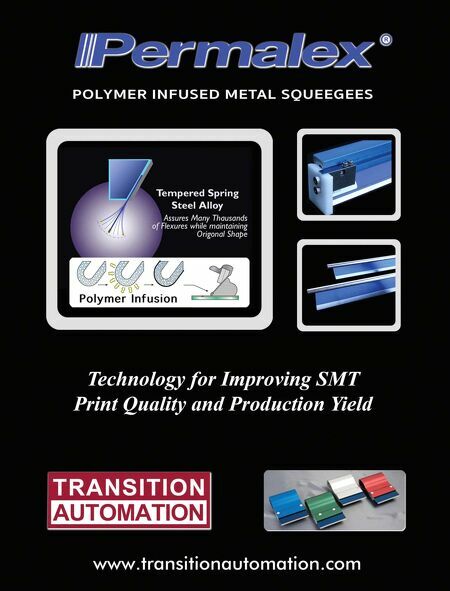 84 SMT Magazine • July 2016 In the previous three chapters on selective soldering, we covered the different applications well-suited to this technology, the various types of fluxing and soldering methods available, and nitrogen inerting. In this chapter, we'll cover programming software. How Selective Programming Works Hybrid boards can be challenging to pro- gram because of the interface with SMT com- ponents and the nature and arrangement of ad- dressable through-hole points. Figuring out the best sequence to optimize production speed is usually a combination of common sense along with available software features. The first step is to "acquire" the board into the software, and there are a number of meth- ods to get started: 1. Scan the bottom of the board with a flatbed scanner. 2. Take a digital photo of the board, such as with a cell phone. 3. Import data from a CAD file. 4. Teach the software. Starting with the last one, the teach-in method is no longer widely used because it can be more difficult to manage than the other methods, which are also far more common. 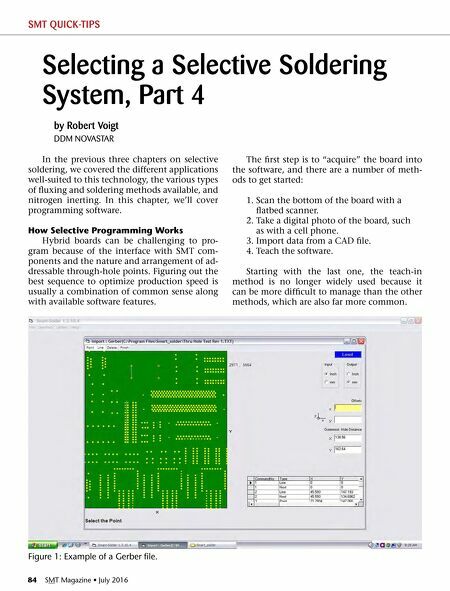 by Robert Voigt DDM NOVASTAR Selecting a Selective Soldering System, Part 4 SMT QUICK-TIPS Figure 1: Example of a Gerber file.